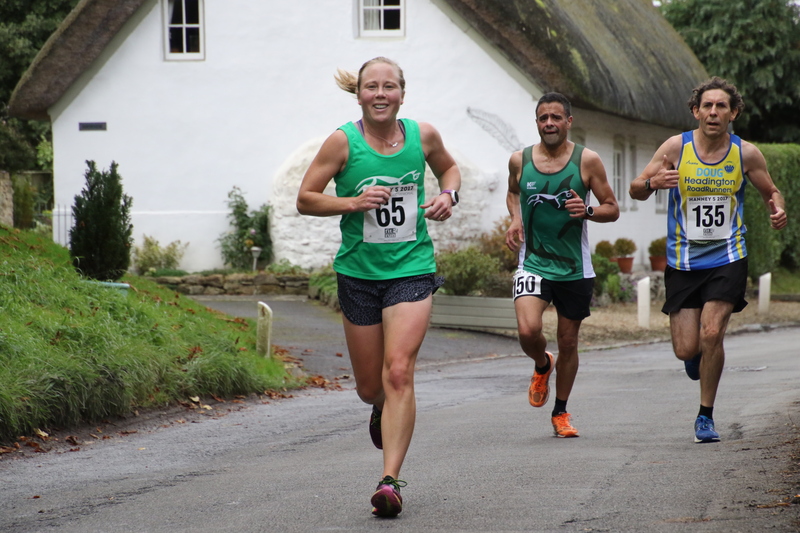 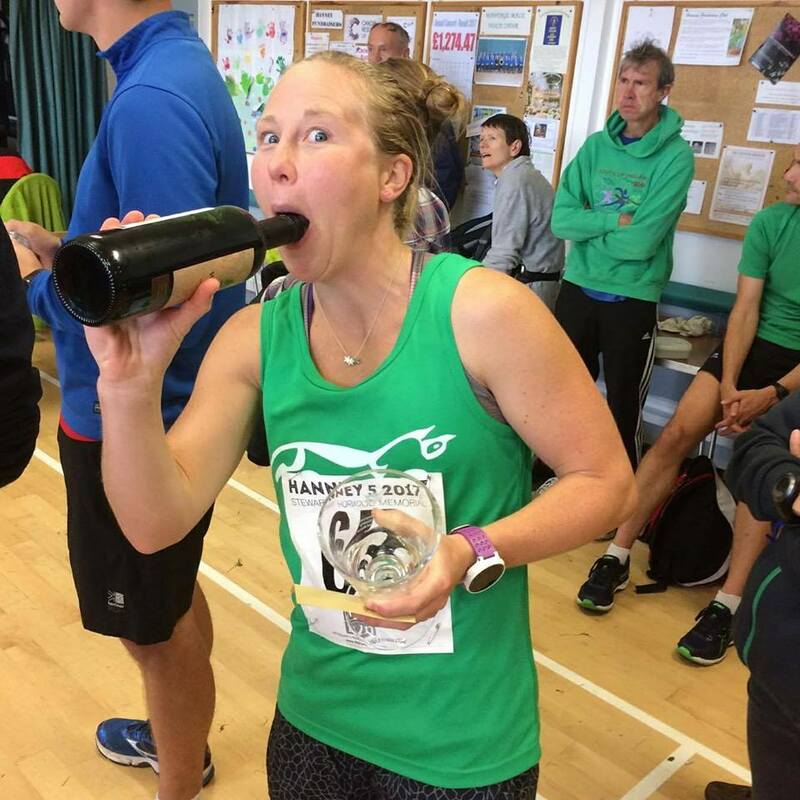 Congratulations to both Clare and the ladies team on their 1st place at the Hanney 5 on Sunday. 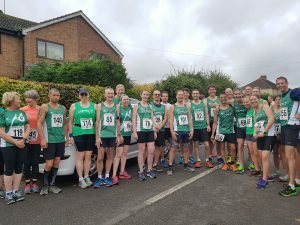 Fantastic to see a great turnout of 25 cheery looking Harriers at the Hanney 5, including several newer Harriers inc. Alex, Cate, Dominic, Helen, Lindsey, Martin, Michael, Paul and Robert. Strong performances by all, but special mention to: Clare, first lady and great to see her back running; The winning ladies team, Clare, Rachel, Suzie and Ros; and Terry, 1st Harrier in. 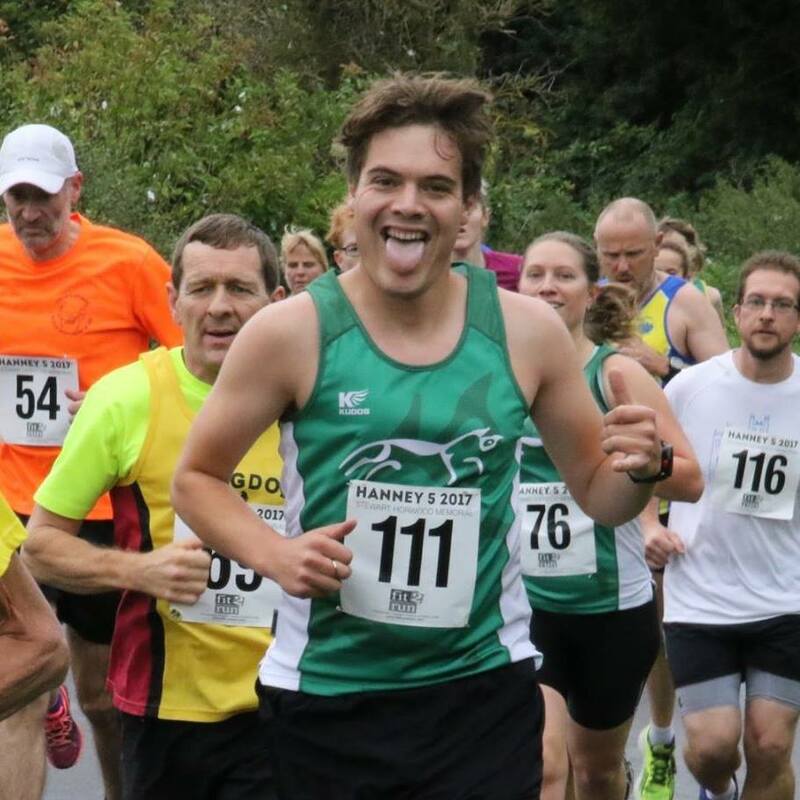 Thanks to Chris Norris, honorary Harrier for the day. Finally, thanks to Sam for contributing best face pulled while running!.